Voters at a few polling stations in Toronto, Ottawa and London, Ont., are reporting problems, mainly with the new machines being used to check voter lists and tabulate votes on election day. 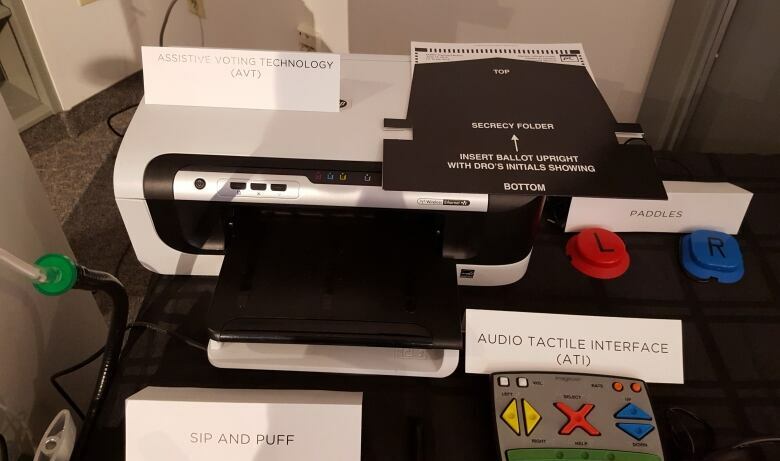 Voters at a few polling stations in Toronto, Ottawa and London, Ont., reported problems with new machines being used to check voter lists and tabulate votes on election day. The glitches were causing long lineups, slowing down the election process, voters said. There were reports of electronic vote tabulators not working, errors in electronic databases, internet connectivity outages, a fake training ballot being handed to a voter, and staff who were not well versed in the new machines giving long explanations on how to use ballots. Voters in Toronto said some electronic vote tabulators were not accepting ballots at one polling station. At another polling station, one voter said some voters were leaving in frustration before casting ballots because of long lines. One voter in Ottawa said ballots were stuffed into a bag because a machine wasn't able to tabulate votes. 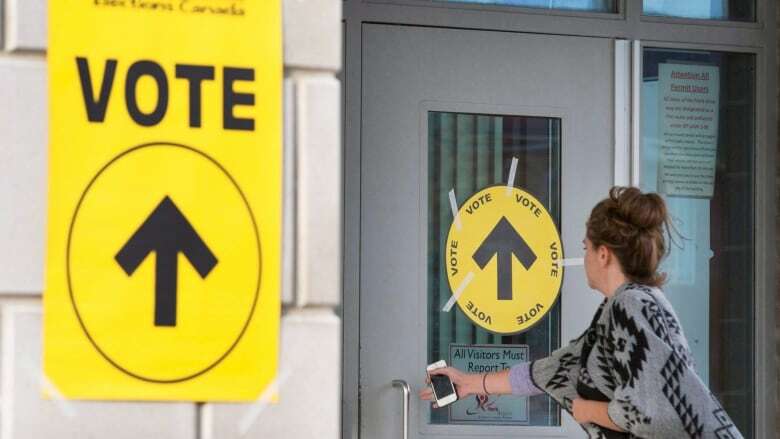 Toronto voter Scott Weir said long lines formed shortly after a Toronto Centre polling station opened at Sprucecourt Public School, near Parliament Street and Gerrard Street East, because of glitches with an electronic vote tabulator. Weir said no votes had been cast in the polling station as of 9:30 a.m., and there appeared to be no contingency plan. He said he would come back later because he had to go to work. "Long long line … and no votes cast yet," Weir said in a tweet. In an email to CBC News, an Elections Ontario spokesperson said 99.57 per cent of all technology-enabled polls were up and running across the province. "The few voting locations that are experiencing technical issues are being addressed, if they have not already been rectified." The eastern Ontario riding of Glengarry-Prescott-Russell (poll 012 will now close at 10:30 p.m.). The Toronto-area riding of York South-Weston (poll 406 will now close at 9:40 p.m.). The northwestern Ontario riding of Kiiwetinoong (poll 032 will now close at 1 a.m.). The spokesperson said in the event of a problem, poll officials will revert to the traditional paper method to enable voters to cast ballots. That process is the same process in place at polls where technology is not being used for voting. The process includes using a paper list of electors and the poll clerk manually striking off the name of the voter who has voted and updating manually a paper copy to identify names crossed out. Elections Ontario said all of its staff have been trained on this contingency process. In one case, a University of Toronto grad student says she was shocked when she entered the voting booth to mark her choice and didn't recognize any of the candidate or party names on her ballot. 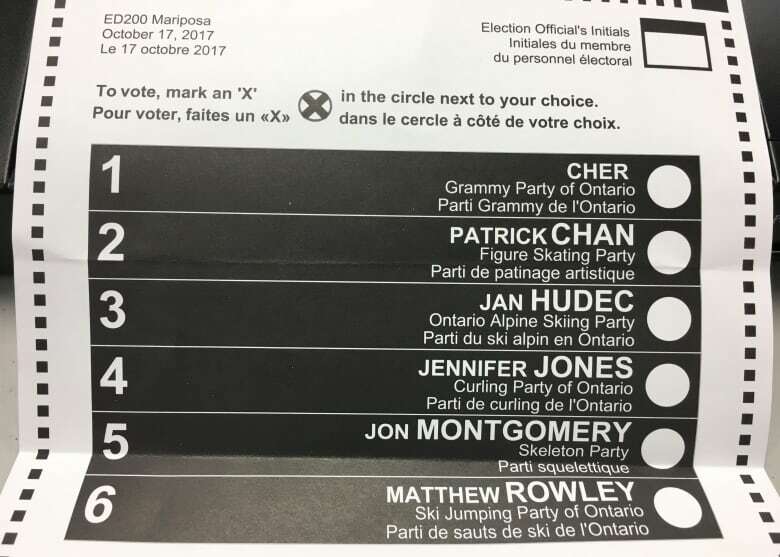 "The first one I read, the candidate was Patrick Chan and the party was the Figure Skating Party of Ontario. And other parties included the Alpine Skiing Party of Ontario and the Curling Party of Ontario, the Grammy Party of Ontario. So I was very confused," said Faith Gallant, 23, who voted early Thursday morning in the riding of York South–Weston. Gallant said she brought the problem to the attention of poll workers, who told her "someone must be playing a practical joke on you." They checked the remaining stack of ballots for any other anomalies and, finding none, handed her a real ballot so she could properly vote. It turns out she had been given a training ballot used by staff to train poll workers on what ballots look like and how to fold them, Elections Ontario said. In this election, Elections Ontario is using new technology — e-Poll books and electronic vote tabulators — to check the names of voters and to record and to count votes at half of all polling stations in the province. An e-Poll book contains an electronic version of paper voters' lists, while an electronic vote tabulator electronically counts each ballot and generates results after polls close. Cara Des Granges, spokesperson for Elections Ontario, said in an interview on Tuesday that the office had tested the technology in byelections. "Elections Ontario has the utmost confidence in the accuracy of vote tabulators and has piloted them successfully in byelections," she said in an email to CBC Toronto. "E-Poll books make it easier and faster for an elector to get a ballot. Vote tabulators automate the counting process for election officials. which provides faster and more accurate results." Elections Ontario will retain paper ballots for manual recounts if required, she added. Voters took to social media to report problems at polling stations. .<a href="https://twitter.com/ElectionsON?ref_src=twsrc%5Etfw">@ElectionsON</a> ...so trying to vote. No one can get the ballot machine to work at <a href="https://twitter.com/hashtag/sprucecourt?src=hash&amp;ref_src=twsrc%5Etfw">#sprucecourt</a> in <a href="https://twitter.com/hashtag/cabbagatown?src=hash&amp;ref_src=twsrc%5Etfw">#cabbagatown</a>. I’m going to have to leave and my vote will not be counted. Why is my vote being suppressed through incompetence? 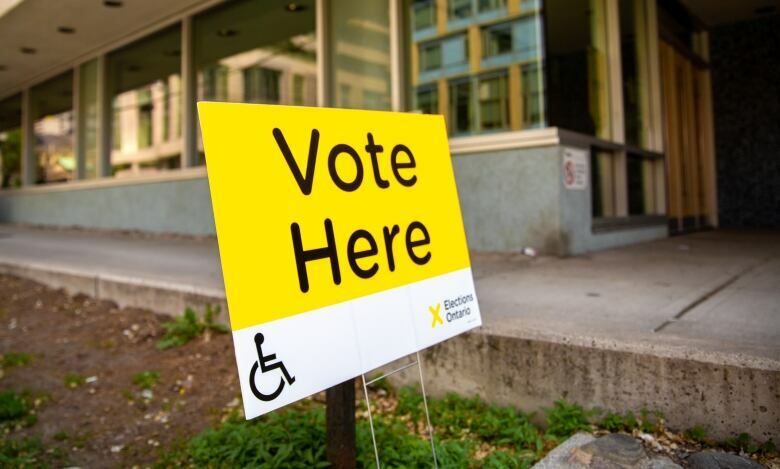 In the Toronto riding of Beaches-East York, voter Liz Woodburn said there were two lines at the Toronto United Mennonite Church polling station, one for people with voter information cards and one for people without, and staff mistakenly directed voters with cards into the other line. The result was an even longer wait. "I showed up shortly before 9:45 a.m. to extremely long lineups, which I've never experienced at that station before. It's a regular polling station. I've never had long lineups there," she said. Woodburn waited an hour before she was finally able to vote after being directed to the wrong lineup. Once she got to the front of the line, her card was scanned in a second and she received her ballot quickly. She said the electronic vote tabulator seemed to working properly. "I would say the staff were not consistently or effectively trained. People were being held up with long explanations on how to use the ballot. The people who didn't have a card were not getting processed. They were standing there for ages and it seemed like whoever was supposed to deal with those problems didn't know how to do it." Woodburn said she saw about six people leave in frustration before voting. She reported the problems to Elections Ontario, which it said it would investigate. "I consider this an irregularity," she said. "The thing I am most concerned about is I observed leaving without voting." Long lines and people leaving in frustration were also reported at a polling stations in the Toronto ridings of Parkdale-High Park and University-Rosedale. Meanwhile, in Ottawa, Tatiana Paganezzi, a resident of Ottawa–Vanier, said she wasn't on the voters list. "I wasn't in the database, apparently, even though I've lived in the area for six or seven years, and I've voted here before," Paganezzi said. Pagnezzi said she was told computers were down, and that she would have to fill out a paper form to cast her ballot. "It was quite quick, though, there wasn't a lot of people." Ottawa–Vanier voter Michael Porter tweeted the machines at Colonel By Secondary School weren't able to tabulate votes, so officials were instead putting ballots into bags. And in London, voters of London North Centre were lined up out the door at the Eastern Star Temple on Fanshawe Park Road East. One said the station was down to one functional computer early in the day. The voting location was equipped with five computer terminals, leaving four unavailable to process voters' information. Local polling official Melissa Baidoobonso said staff were able to remedy the situation and move voters through. "It's our first time using these computer systems, so of course there's been a bit of a hiccup," she said. "It is a new technology that we're using, but we've smoothed it out." 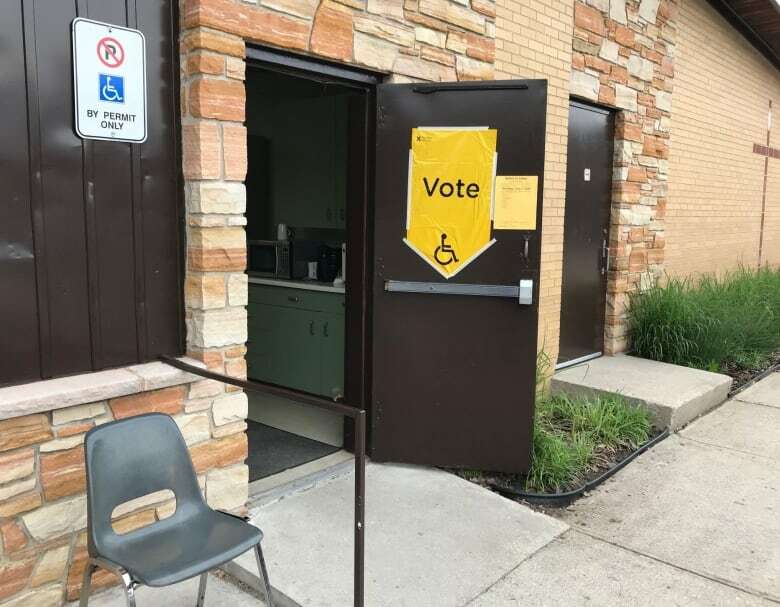 In Tillsonburg, 50 kilometres southeast of London, some voters who showed up at the town's only polling station were reportedly told to "come back later" due to computer problems. Sheena Larmer and her husband were told by clerks that there were issues with the computers. They decided to go for breakfast, and when they returned, the polling station was still having problems, leading to a wait of around 25 minutes to cast their ballot. "Oh, it was ridiculous. It was such a mess," Larmer said. "Although I'm a really committed voter, I worry that there's a lot of people that would just say 'oh, forget this.'" Many voters who commented on CBC London's Facebook page, however, said they had no problems voting on Thursday.